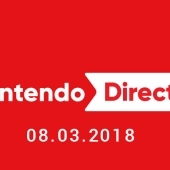 Yesterday Nintendo held their fabled Nintendo Direct, where they announce the next batch of games and Nintendo related items coming out over the next year. The main title to be announced hast to be – Super Smash Bro’s is finally coming to switch, this is news we’ve all wanted/expected for a while so it’s not the most surprising news but definitely welcomed. The teaser showing the Squid kids firing ink over each other mid battle to see the orange glow of the iconic Super Smash Brothers logo had a huge reaction all over the internet, with these two new characters entering the game it’ll be interesting to see their move set. The game so many people have wanted, is finally coming. A brand new single player to liven things up for Splatoon 2. This will be the first the paid DLC for Splatoon 2 called Octo Expansion, where you are cast as an octoling named Agent 8 who has to make her way through 80 different test facilities. This hit platformer game always seemed like it was aching for a Switch Port, and it’s now here. You can learn about mother and the all the other creepy characters on the go now! Hyrule Warriors comes to Switch on May 18. Little Nightmares will be out on Switch on May 18. Okami HD is coming to Switch this summer. They showed a bunch of gameplay from Mario Tennis Aces, which is coming to Switch June 22. A port of Crash Bandicoot N-Sane Trilogy comes to Switch on July 10. Jason’s most anticipated Switch game Octopath Traveler is out on July 13. The goofy sushi battle game Sushi Striker: Way of the Sushido is now also coming to Switch. The GameCube classic is back, for the first time on 3DS. We’ve had the sequel come out on the 3DS but never the original, this game surely is worth dusting off the 3DS/2DS for some spooky fun. WarioWare Gold, featuring 300 microgames, hits 3DS on August 3. Mario & Luigi: Bowser’s Inside Story is being remade for 3DS along with Bowser Jr.’s Story, both for 2019.